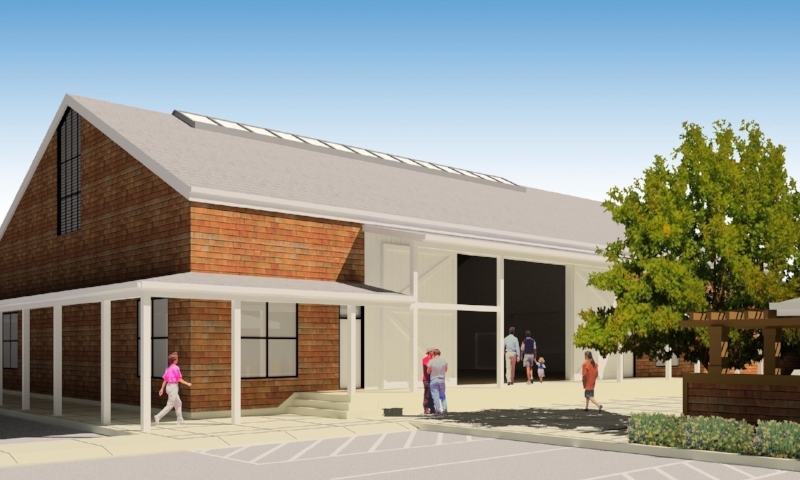 While at John Northmore Roberts & Associates, Lisa Howard worked with John Roberts on the overall schematic site design of the Yountville Community Center. The majority of their work involved designing spaces that provided a balance between the space demand for vehicular circulation and parking and the need for outdoor gathering areas for the community. The three main outdoor gathering spaces are the Town Square, new garden and the lawn with the BBQ. 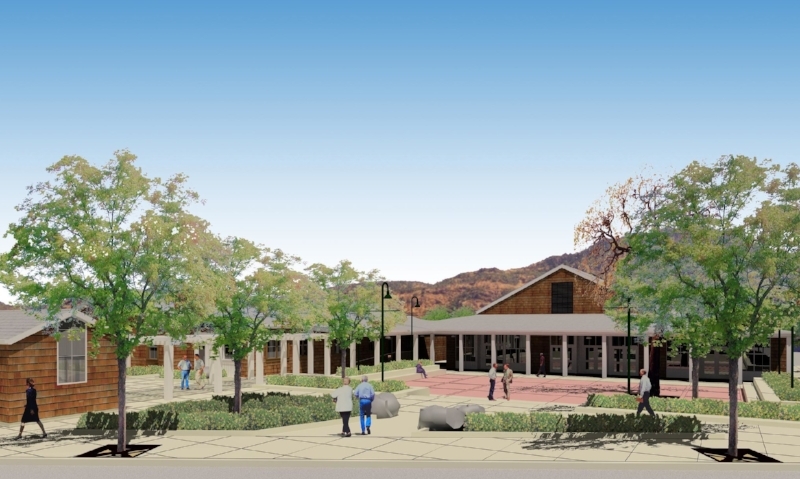 The Town Square is designed as an open, informal and flexible “front porch” for the community with a fountain and Oaks. The new garden, which is located in what is currently a portion of the intersection, provides a buffer from traffic and lush garden space in front of the Community Hall. A patio, lawn and garden are designed around an existing BBQ and stage of the new Community Center to provide an outdoor space at the rear of the site that could be used for parties and group activities.